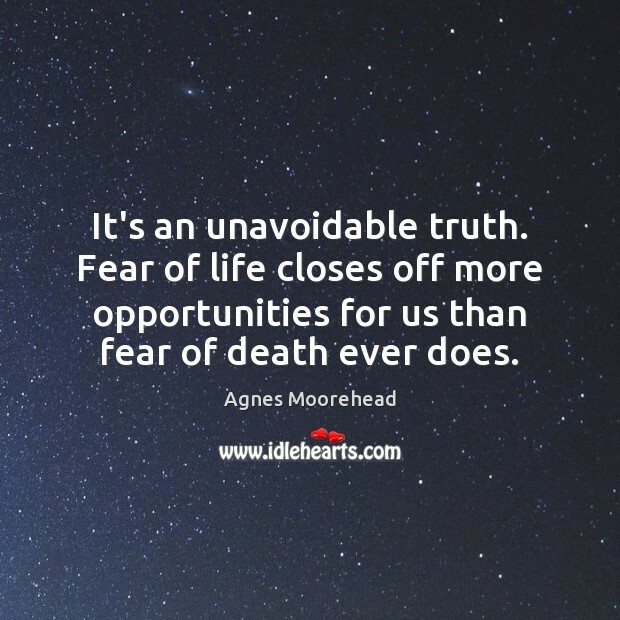 Enjoy the best inspirational, motivational, positive, funny and famous quotes by Agnes Moorehead. Use words and picture quotations to push forward and inspire you keep going in life! It's an unavoidable truth. Fear of life closes off more opportunities for us than fear of death ever does.